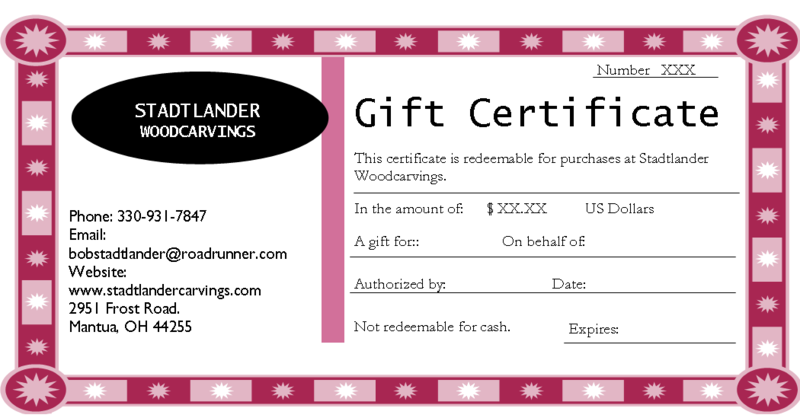 Stadtlander Woodcarving Gift Certificates are the perfect way to give friends, family, or fellow woodcarvers an experience that will make memories. 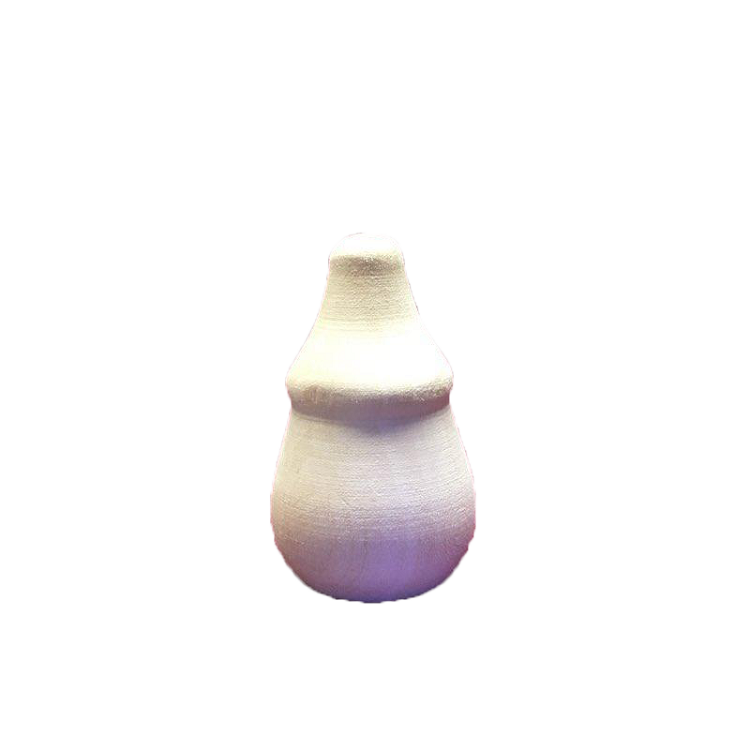 Available for any amount up to $1000.00, Gift Certificates can be used at Stadtlander Woodcarvings for woodcarving supplies or finished woodcarvings. Gift Certificates are valid for one year after date of purchase. Gift Certificates are offered in hard copy format or electronic format. Recipients can redeem any Gift Certificate for on-line purchases by referencing the Gift Certificate number during the check out process. 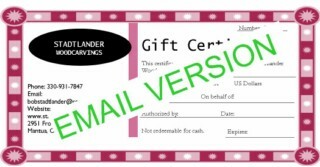 Hard copy Gift Certificates can be mailed in with completed order form or redeemed in person. If you would like a hard copy Gift Certificate mailed directly to the recipient please provide a greeting, donor name, recipient name, and recipient's mailing address in the spaces provided when ordering. Otherwise it will be mailed to the donor's mailing address provided at checkout. A copy of our latest catalog will be included with the Gift Certificate. If you would like an electronic Gift Certificate emailed directly to the recipient please provide a greeting, donor name, recipient name, and recipient's email address in the spaces provided when ordering. Otherwise it will be emailed to the donor's emailing address provided at checkout. Electronic Gift Certificates are furnished in pdf format along with our latest catalog, also in pdf format. If you would like an amount other than $10, $25, $50, or $100, please select Item 51 or Item 52. Enter any amount up to $1000.00 in the space provided and it will be added to invoice total after you check out.